How can a business effectively leverage social media influencers? 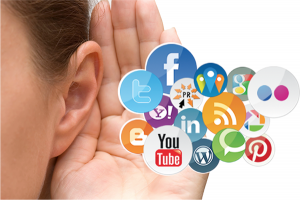 Social listening is the process of monitoring digital conversations to understand what customers are saying about a brand and industry online. The process typically involves tracking conversations relating to specific phrases, words or brands and leveraging them to discover opportunities and create content for your target audience. Take IKEA for example, which employs almost 160,000 people across 365 stores in 45 countries, recently adopted a Social Listening strategy (“IKEA Listening Hub”) using an analytics tool Brand Watch to benefit from discovering insights in real-time. Brandwatch Analytics was used to compare IKEAS’ online conversation from May to August in 2013 and for the same period in 2014 over Twitter, Facebook, LinkedIn, YouTube, Pinterest, blogs, websites, online forums, and news sites. The tool was used to search for conversations that included the key words “customer service” OR “cust serv” and other context terms in relation to the organisation. Results showed that general conversation about IKEA in both the USA and UK was more positive than negative. However, when analysing conversation in relation to customer service, the tone was more negative than positive for both regions. By sharing insights like these with other departments within the organisation (e.g. customer service department), the IKEA Digital Development team were able to inform them of where to make modifications, and in turn improve the perception of the IKEA brand.